Lotions, Potions & Me: #29 Bag Spy: What's in your Bag? #29 Bag Spy: What's in your Bag? Today’s bag spy is the very fabulous and talented Becks Buki who happens to be an amazing makeup artist and hair-stylist, so you can imagine how excited I was to get a chance to snoop in her makeup or rather luggage bag! I felt like a child in a candy shop. Being a makeup artist she has an amazing amount of makeup so this write up of her everyday essentials doesn’t even make a dent in the treasure trove of makeup goodies she has. As mentioned she is also a fantastic hair-stylist - you can spot her handwork and trademark weaves anywhere when you see it – the hair is usually flowing with movement and framing your face nicely. 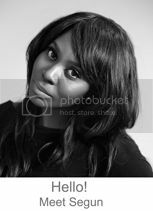 Many of her clients have found her simply because they have stopped another client on the street somewhere and said ‘please please give me the name of your hairdresser’. Check out the bag spy below as well as a mini interview about her. First up in my makeup bag is Le Metier De Beauty Flawless Foundation in X1 – this brand is a cutting edge brand from the US with a cult following that recently launched in the UK at Liberty’s. 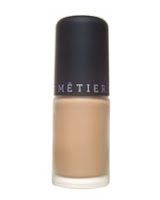 I love this foundation because it contains a large amount of minerals and provides me with a dewy effect. I also like it because unlike a lot of other foundations it doesn’t change colour on your face halfway through the day and I think it’s a colour that would suit quite a few black women. If when using it I feel it looks a little light I tend to use a blusher around the edges of my face. I love a blusher by Sleek called Sahara, it’s a bit of a terracotta shade and I think it’s fantastic. I feel it’s on the same level as Raisin by Mac and I tend to use it both as a blusher and on my eyelids and temple to brighten up my face/make me look more ‘alive’. I especially love the fact that unlike a lot of other powder blushers which tend to break up, the Sleek one doesn’t break. For my eyebrows I use the browset called Showoff by Mac – it’s like a mascara but for eyebrows. I tend not to use a pencil as I don’t like to feel like i'm drawing on my eyebrows. 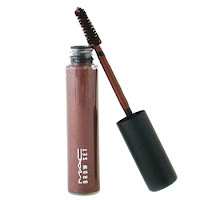 I like Showoff because it tints my brows into a nice auburn/chestnut brown and I think it would suit most complexions. 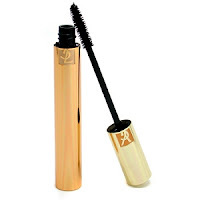 I only use Lancôme lip glosses as I found that most other lip glosses seemed to dry out my lips – with the Lancôme lip-gloss I find that not only is it hydrating but even if used on top of lipstick, you don’t get that separating effect that other lipsticks can cause. To define my face I use a blusher by Mac called Reed, which unfortunately has now been discontinued but they have a new one called Definitive, which is specifically for defining your face. I tend to contour the inner edges of my nose and up to the corner of my eyebrows and eyes – it makes my face look more chiselled, straight and defined. 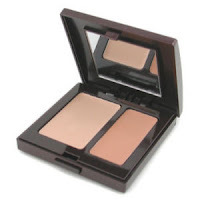 If I ever want to use a concealer I use Laura Mercier’s Secret Camouflage SC6 – I only ever use it under my eyes and as a highlighter under my brows. I love that it comes in two shades so you use the lighter part first and then put the darker shade over it. I’m a normal girl who is creative, loves fashion and loves/breathes makeup and hair. I love helping people look good and I find that makeup and hair is both a passion and an avenue for me to help people look their best. I would love to start doing prosthetic makeup and to develop my own makeup line. I would also like to do more editorial work and continue working with bridal makeup. I then went on to boarding school and an aunt used to do my hair as a weave for the school term, however by the time the school holidays came round and I could go back to get it redone my hair would be looking really bad, untidy and doing the backwards slide. So finally one day I decided to sit in front of a mirror in my dormitory and I redid the weave myself – from there I just kept on practising and then started doing weaves and braids for family and friends. My big break came when I did the Angie Stones style of weave for a few clients - word just spread about me and from there, I started getting regular phonecalls. My flatmate at the time also gave me a blade and I practised and developed my style of cutting weaves to give them the right amount of movement and style. Do you have any make up tips? I find that many women of colour have quite a bit of discoloration due to the melanin in their skin so its a good idea to mix a couple of foundations together to get your correct shade. I also find that we tend to have at least two different tones on our faces and are usually lighter in the middle and darker around the edges so to avoid that mask effect of using one tone on your face it’s a good idea to mix two different foundation shades. Use a lighter shade for the light part and a darker one for the dark part. You just have to remember to blend it properly so that it looks seamless and flawless. When trying out foundation you should try it both on your jaw line which most people know about but also under your eyes.